The homecoming court included freshman attendants Kiah Whack and Dwight Lewis III; sophomore attendants Mallory Shroyer and Jackson Coolman; junior attendants Carlyn Young and Tylen Eatmon; and senior attendants Thaliyah Cools-Lartigue and Tanner Souders, Amanda Floyd and Keegan Sperry, Malaya Rivers and Will Coleman, and Lauren Thomas and Dawson Blakely. Homecoming queen Amanda Floyd and homecoming king Keegan Sperry. Both are Fairborn High School seniors. Fairborn City Schools was in competition with Mad River Local Schools concerning which district could collect the most food for their respective communities. 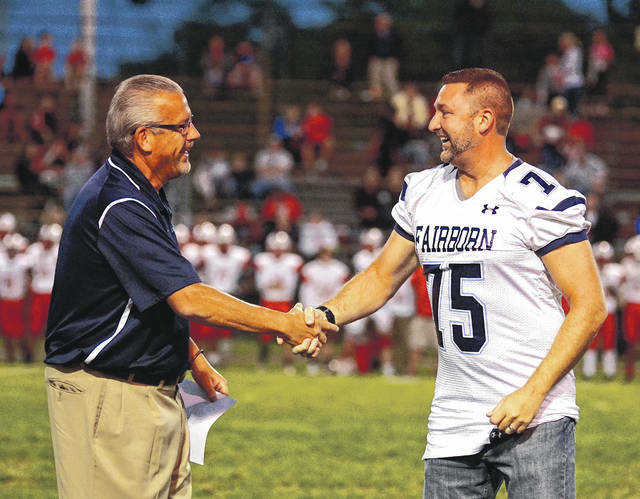 Fairborn won, resulting it the Mad River Local Schools superintendent having to wear a Fairborn High School football jersey. Fairborn City Schools Superintendent Mark North is pictured shaking hands with Mad River Schools Superintendent Chad Wyen. 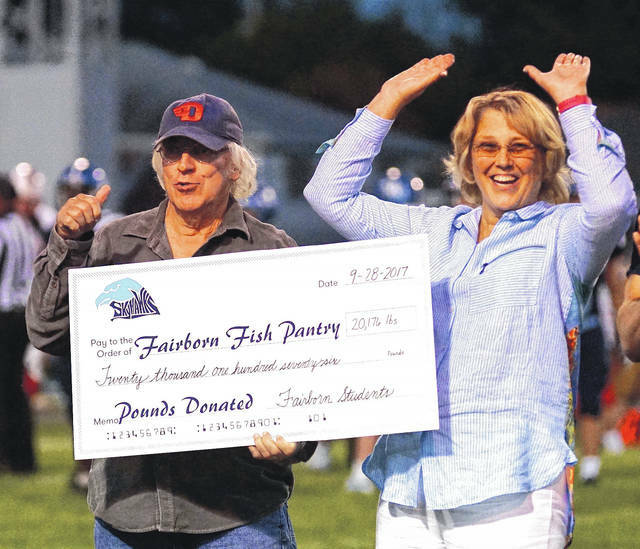 The Fairborn City School District is celebrating homecoming with its annual traditions, such as the football game, powderpuff game and parade in addition to a “Football for Food” food drive in which students across the district collected more than 20,000 pounds of food. The goods will be donated to the Fairborn FISH Food Pantry. 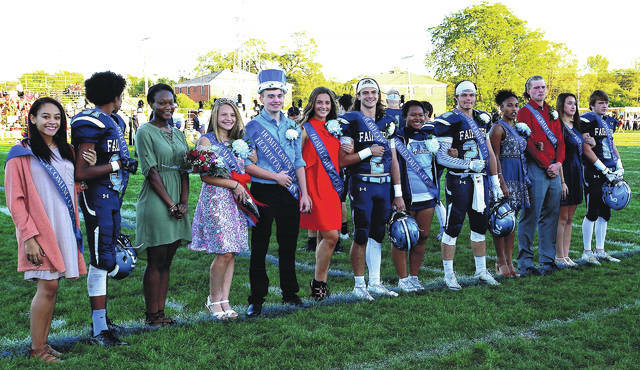 https://www.fairborndailyherald.com/wp-content/uploads/sites/50/2017/10/web1_4.jpgThe homecoming court included freshman attendants Kiah Whack and Dwight Lewis III; sophomore attendants Mallory Shroyer and Jackson Coolman; junior attendants Carlyn Young and Tylen Eatmon; and senior attendants Thaliyah Cools-Lartigue and Tanner Souders, Amanda Floyd and Keegan Sperry, Malaya Rivers and Will Coleman, and Lauren Thomas and Dawson Blakely. 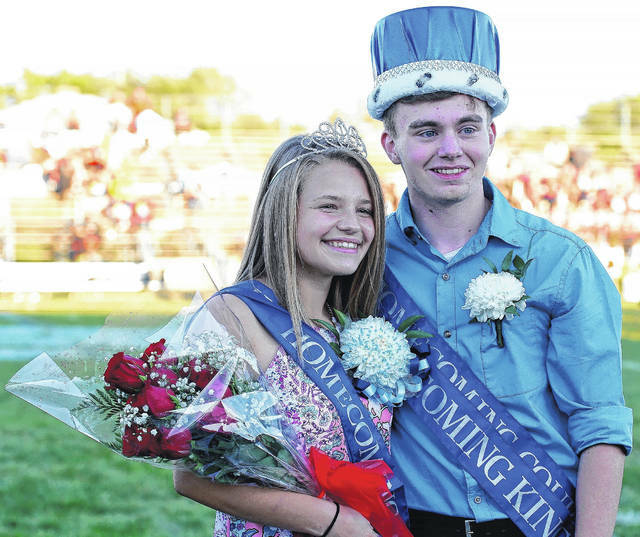 https://www.fairborndailyherald.com/wp-content/uploads/sites/50/2017/10/web1_3.jpgHomecoming queen Amanda Floyd and homecoming king Keegan Sperry. Both are Fairborn High School seniors. https://www.fairborndailyherald.com/wp-content/uploads/sites/50/2017/10/web1_1.jpgFairborn City Schools was in competition with Mad River Local Schools concerning which district could collect the most food for their respective communities. Fairborn won, resulting it the Mad River Local Schools superintendent having to wear a Fairborn High School football jersey. Fairborn City Schools Superintendent Mark North is pictured shaking hands with Mad River Schools Superintendent Chad Wyen.